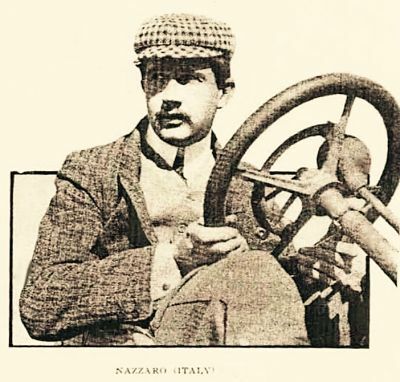 This image of champion road racer Felice Nazzaro is derived from a photo originally published in the July 28, 1906 edition of the Motor World trade magazine. 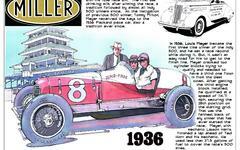 The article it supported is found elsewhere on First Super Speedway. An Italian, Nazzaro drove for the Fiat factory team. He finished second in the first French Grand Prix and then returned the following year to win the second edition of this, the world's first auto race to be referred to as a "Grand Prix." For more on this great driver click thru the links below for additional information available on First Super Speedway. Nazarro at 1914 French GP.